Bright, tangerine orange petals with a hint of pink at the base encircle a deep copper colored cone attracting numerous pollinators to the landscape. 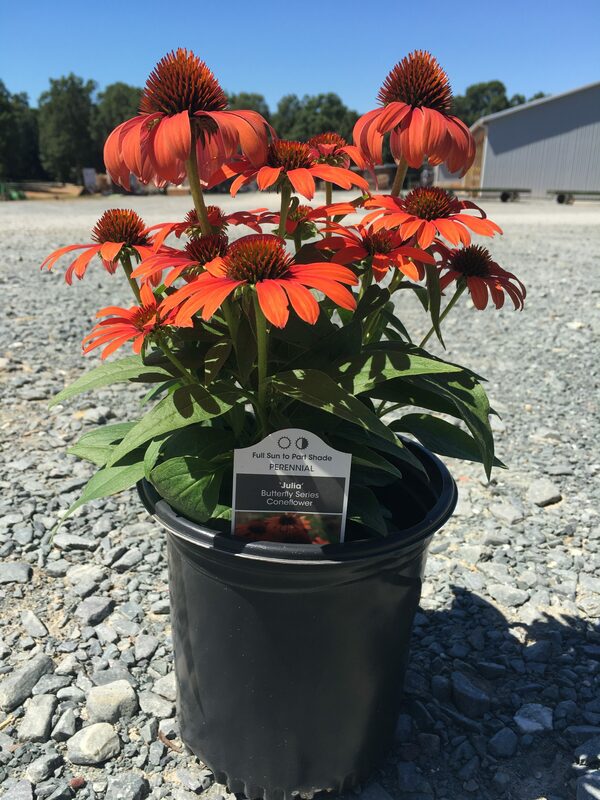 This compact Echinacea grows just 18 inches in height and blooms from mid-June into fall. Full sun. Drought tolerant once established. Deer Resistant. Native.